Petrol companies are being accused of putting profits before crime reduction by a police chief who wants to change the way the nation pays for its petrol. 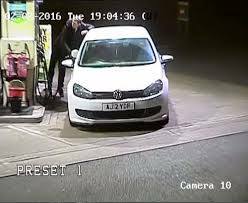 Incidences of criminals driving off without paying for their petrol has risen by 40 per cent in some areas of the country, with the increase in petrol prices blamed for up to 25,000 incidents. The crime, which is known as ‘bilking’ could be put to an end if UK companies insisted that drivers pay in advance, as they do in many other countries across the globe, including the United States. With police force budgets stretched to their limits, one police chief is calling for a change in policy, moving away from the strategy of drivers being encouraged onto forecourts to encourage sales. Some forces will no longer investigate a case of ‘bilking’ under £50 unless there is proof that there was criminal intent. Simon Cole, the National Police Chiefs Council’s head of local policing, is also the chief constable for Leicestershire and he wants to wipe out the practice: "The petroleum industry could design out bilking in 30 seconds by making people pay up front which is what they do in other countries. They don’t because the walk up in their shops is part of their business offer."